Very simple. Quick. Delicious. Oh, and did I mention really healthy for you, too? Need I say more? We all know that raw fruits and vegetables are nutrition powerhouses. So are almonds. If you look up the nutritional information for almonds, you may be surprised by how great they really are. They are such a blessing to those of us who have to eat gluten free because they are a great source of fiber and B vitamins - something we tend to lose out on when we switch away from a more grain-based diet. They also have loads of other vitamins and minerals, too. This recipe is my variation on a recipe from the book Rawesome by Brigitte Mars. Brigitte's book has tons of really healthy recipes that are not only gluten free, but also incredibly healthy for you. You should get your hands on a copy! 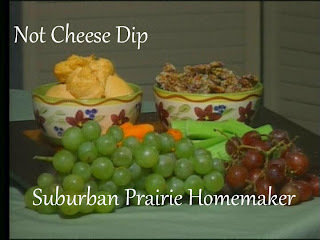 So here's my variation of her "Easy Cheese Dip" that's featured on page 44 in the book. Put everything in a food processor and puree. This will keep a few days in the fridge, but I doubt it will make it that long. I LOVE this in celery sticks. You can also spread this on some Glutino crackers. And, listen - I'm no tomato fan. If it's not spaghetti or pasta sauce, I generally won't eat it. It's true! BUT, in the summer, when the tomatoes are at their peak, this is a great way to help use them up. And the almond flour isn't nearly as hard to come by as you may think - if you can't find it at your local store (Bob's Red Mill Brand) or you don't have a Whole Foods in your neck of the woods, Amazon.com carries it. They have lots of other gluten free staples at very reasonable prices and most are eligible for free shipping. Low price plus free shipping is just a variation of our motto "on sale and with a coupon". So check out Brigitte's book, and see what else you can discover! I bet this is actually very good! Almonds! So healthy! Thank you for sharing your recipe at Potpourri Friday! I appreciate your participation! Please consider turning your word verification to the off position. This looks so delicious! Thanks so much for sharing on Mom On Timeout! 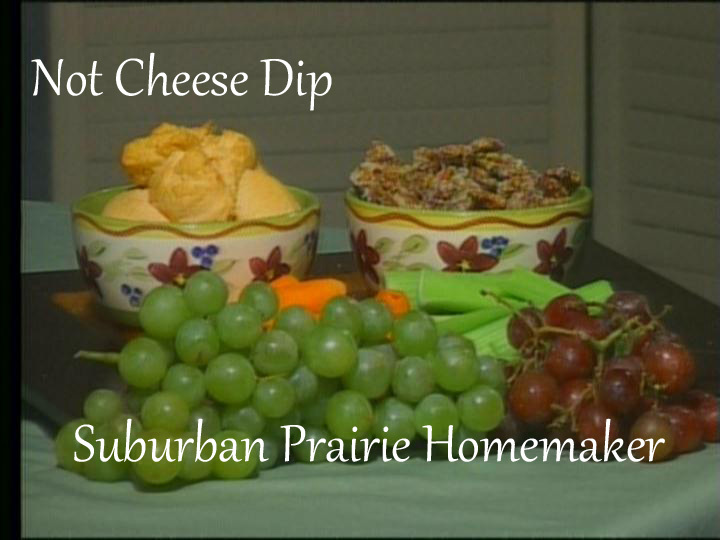 I need to make this for a friend of mine who does not like cheese...:) Thanks so much for sharing this with us at Sharing Saturday. Hum! I have not heard of this homemade version! Sounds good! And thank you so much for linking up at Healthy 2day Wednesdays!